BRAC Bank Limited, pioneer in SME Banking, delivers a full array of banking services to individuals as well as business entities. With a network of 175 Branches, over 500 ATMs, 448 SME Unit Offices and 1,800 remittance delivery points, the Bank has unmatched reach to provide a comprehensive range of solutions to serve millions. 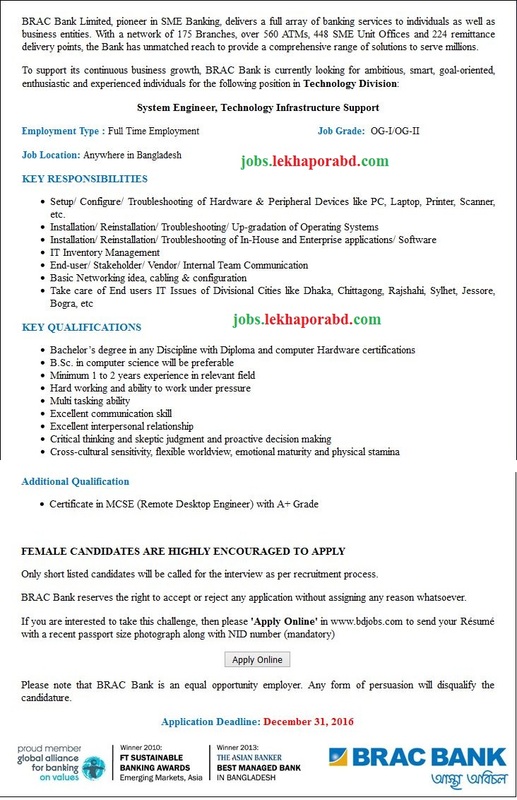 You can get BRAC bank related all information has been found my website jobs.lekhaporabd.com. 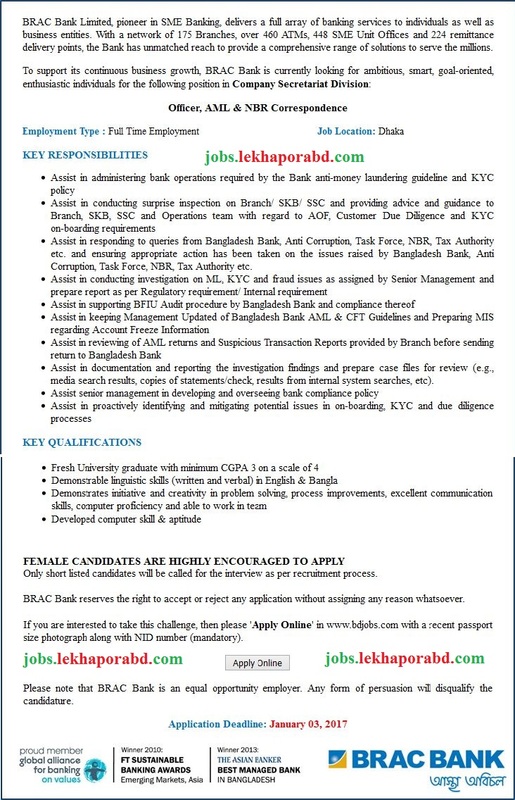 To support its continuous business growth, BRAC Bank is currently looking for ambitious, smart, goal-oriented, enthusiastic individuals for the following position in Technology Division. Job Type : Please, See The Job Circular. Education Qualification : Please,Please, See The Job Circular.